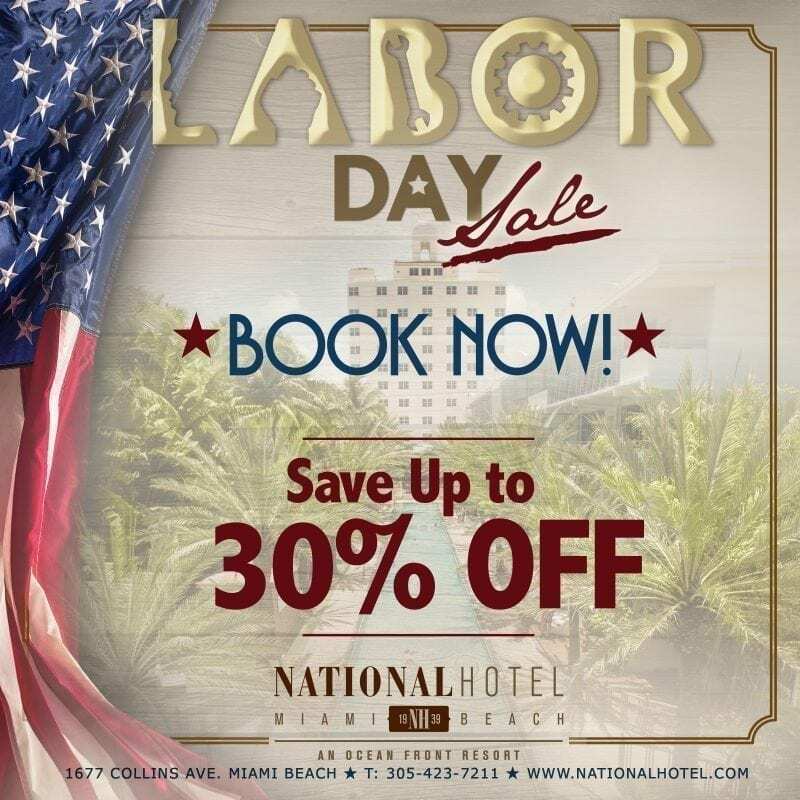 National Hotel is rewarding you for all your hard work this Labor Day by offering up to 30% off your next stay, in the next year. Book Now and relax with a welcome amenity upon arrival. Get 20% OFF our Best Available Rate, including welcome amenity. Get 30% OFF Best Available Rate, including welcome amenity.